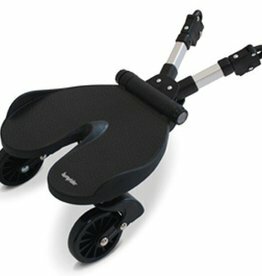 Bumprider is the most univesal and adaptable toddler board for prams. It is the simple, quick and one-for-all solution to accommodating that toddler who is still too young to walk all the way on their own, yet too big for the pram. The Bumprider has been designed around ease of use and adaptability, which gives it almost endless adjustment possibilities, meaning it fits on all prams. And quickly too, less 5 minutes in fact.